Lipscomb Hydra Cleaning is ready to respond 24 hours a day, 7 days a week to your emergency situation. When you have a flood or water leak in your home or business, you cannot afford to let the water sit on your carpet or flooring. It does not take long for water to penetrate any type of surface, leading to mold and mildew the longer it sits. The growth of mold is hazardous and potentially very costly to remove, not to mention it can lead to structural damage. 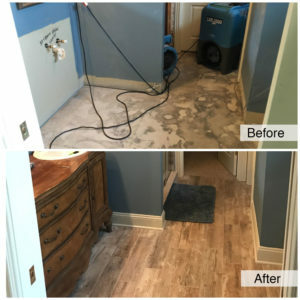 Lipscomb Hydra Cleaning is available day or night with the proper equipment and technicians to remove standing water or soaked carpets after a storm or other type of disaster. 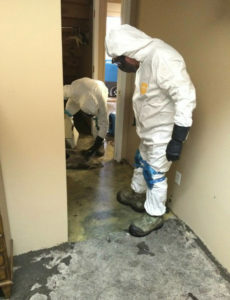 Within an hour of your call, our crew can be on our way to your location to begin the water removal and drying out of your carpet and structures. As any property owner knows, carpets will soak up anything that touches them – including leaked sewage. If you find yourself in this situation, you must call a professional. Do NOT attempt to clean up sewage or blackwater (contaminated water) yourself. Simply coming into contact with these materials can be seriously hazardous to your health. Lipscomb Hydra Cleaning Systems is available to extract the water and properly clean your carpets, preventing further damage. We are fully capable of handling all your mitigation and water removal services – from extraction and removal to complete restoration and rebuilding. No matter the cause of the water damage, we can handle the job. We go beyond simply vacuuming the water away and drying out your carpet. We use modern technology to look beyond the surface level, in order to detect hidden moisture that could cause trouble later on, like mold and structural damage. 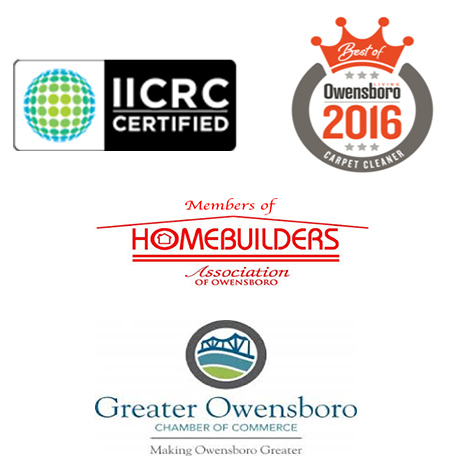 You can find out more about our complete restoration services by visiting our Lipscomb Restoration Solutions website.